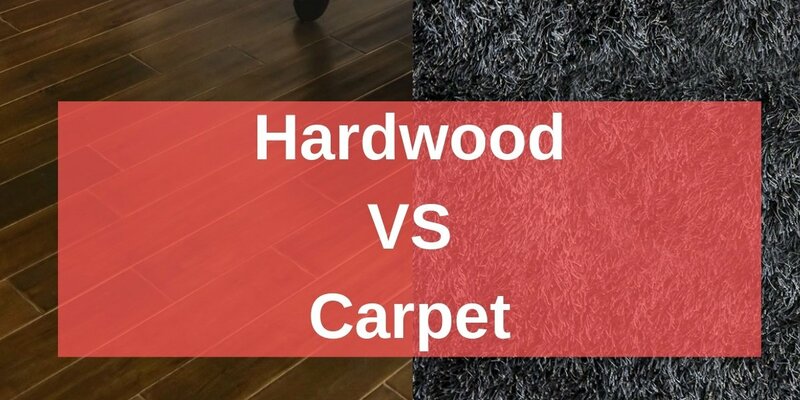 There has been a debate over whether hardwood flooring or carpet is better with great arguments for both sides. The argument comes down to basically three things: cost, look and feel, and maintenance. As far as the initial cost goes, carpet is on average the cheaper flooring option. The cost of installation and materials are both lower for carpet than hardwood. Hardwood, however, can last for years longer, making it cheaper in the long term. While you may need to replace your carpet in 5 to 10 years, hardwood floors can last well over 50 years. You can also extend the life of your hardwood by getting it refinished. Hardwood also has a better resale value than carpet, so if you are looking to sell your house, hardwood can be the better option. While most people have a preference of whether they like the look of hardwood flooring or carpet better, carpet is softer. That softness makes it feel cozier and helps to insulate the room. Carpet not only makes the room feel warmer but also insulates sound. Rooms with carpet are less likely to echo. Carpet is not only softer, but also comfortable to walk on. It is ideal for young children and anyone who is prone to falls. Hardwood has a timeless look that does not go out of style, unlike carpet. Just like you wouldn’t want to put a 70’s orange shag carpet in your home, the carpet that you choose for your home will become outdated. Hardwood is definitely easier to maintain than carpet. Easy routine sweeping and cleaning with a hardwood floor cleaner will keep your hardwood floors looking beautiful. Carpet, on the other hand, traps dirt, pet hair, and other possible allergens in the fibers, which can be hard to get out even with routine vacuuming. Spills will also get absorbed in the fibers and potentially the padding underneath, making odors and stains a very real possibility. Even if you immediately clean up the spill with a carpet cleaner, it can be hard to clean it up completely. Hardwood flooring and carpet are the two most popular flooring options on the market. They both have their own strengths and weaknesses, which makes them appealing depending on what your needs are. If you need help deciding or choosing the best flooring for you, stop by Carpet Depot and let us help you select the best flooring for your home, needs, and budget.